After cleaning up a number of loose ends, we finally filed the applications for the FLUM/Land Development Code Atlas Amendment & approval of the Development Agreement. One loose end stands between us and filing the plat vacation request. Below are the transmittal letter and application for the FLUM/LDCA Amendment along with the Development Agreement materials. 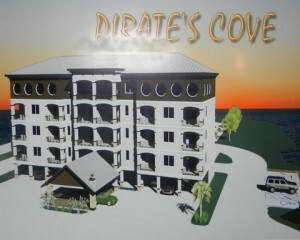 **The Picture below was the first rendering, of an idea taken to the county.